Q: I recently graduated and have just received a job offer from a leading law firm. The question now is: Do I negotiate the salary or not? I don’t want to come across as difficult, but I also don’t want to sell myself short. Any tips for legal professionals who are just starting out? A: If you’re uncomfortable discussing money with potential employers, you’re not alone. Fewer than 4 in 10 workers (39 percent) who were polled for a recent Robert Half survey said they tried to negotiate a higher salary with their last job offer. Do your research. As someone just starting out, you don’t have any reference points for how much you should expect to make. 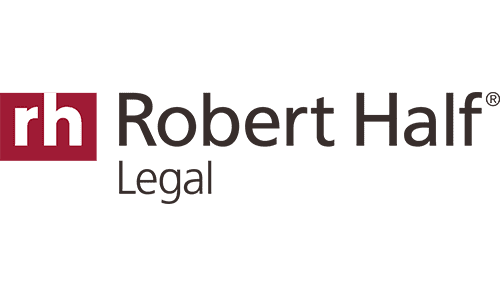 Find out by using the 2019 Robert Half Legal Salary Guide, a trusted resource with starting wages in law firms and corporate counsel departments. Your target salary is probably around the 25th to 50th percentiles since you’re still developing your skills. For a first-year associate in the U.S., the midpoint salary range is $70,500, while the midpoint salary range for a case clerk with 0-2 years of experience is $43,750. Use the online Salary Calculatorto adjust the figures for your city. Highlight your strengths. Your salary negotiation will be more successful when you can detail all the extras the firm would get if you joined the team. For example, legal technology is revolutionizing the law office of today and tomorrow. By calling attention to your expertise in LexisNexis, machine learning, digital forensics and other hot fields, you would be making a good case for why the employer should pay you more than the initial offer. Negotiate extras. A higher starting wage is good, but don’t forget that a solid compensation package includes benefits, perks and financial incentives as well. If the hiring manager doesn’t want to commit to a higher base salary, try negotiating a signing bonus, more vacation days, a compressed workweek or other perks. Remain professional.When negotiating salary and other aspects of the compensation package, it pays to be friendly, courteous and honest. Don’t misrepresent yourself, such as by claiming you have a competing offer when you don’t. Do be flexible and know when to stop pushing. Negotiating salary is one of the most delicate and potentially awkward aspects of the job search. But when you prepare and take a chance, your efforts can pay off in the long run and net you a better overall compensation package.